An interview with Paul Wright, editor of PLN and director of the Human Rights Defense Center, by a former Earth First! Journal collective member. Prison Legal News was born the same year that the Earth First! was figuring out what it meant to support incarcerated warriors of the eco-defense movement, resulting from the Arizona 5 busts. Environmentalism and the prison industrial complex would be intertwined for Earth First! from that point on. The prison support pages of the Earth First! Journal would be a constant presence in the publication—going from a brief sidebar to a full-blown spread in the magazine with the spike in prisoners following the first Green Scare indictments in 2005. As a resulting of EF! activists doing time in county, state and federal facilities across the US, the numbers of prisoner subscribers also began to rise steadily. Today there are now thousands of prisoners who have an Earth First! Journal pass through their hands. There are also many supporters on the outside who make donations explicitly for the purpose of keeping these prisoner subscriptions possible—being that very few prisoners are able to make enough on slave wages to pay full price for a subscription. View all the documents in the CCR’s summary motion here. Environmental activist and community organizer Marie Mason is serving the longest sentence ever (22 years) for environmentally motivated property destruction. In 2010 she was transferred to the notorious high security prison FMC Carswell. Now we’re mobilizing to get her moved. On Monday, October 21st, people across the country and world will keep the Bureau of Prisons office ringing off the hook demanding she be moved. We need your help to make the 21st the day we forced the BOP to take notice. Rubin, 40, a Canadian citizen who fled north of the U.S. border to live underground, tried to surrender to U.S. authorities in 2009, said her lawyer, Richard J. Troberman of Seattle. But there were holdups between Rubin’s lawyers and U.S. government prosecutors. 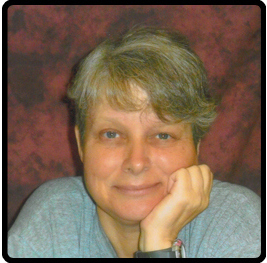 Green Scare defendant Rebecca Rubin is scheduled for a Change of Plea Hearing for 10/10/2013 at 10:00AM in Portland Federal Courtroom 12A before Chief Judge Ann L. Aiken. Rebecca is alleged to have been a member of a group of environmental and animal rights activists accused of eco sabotage, and specifically, she has been accused of being involved in actions against BLM wild horse capture facilities that brutally rounded up wild mustangs from public lands and sold them for slaughter, an arson at the Vail Ski Resort in Vail, CO, and an action at US Forest Industries in Medford, OR. Her last alleged action took place in 2001. A Canadian citizen, Rubin voluntarily turned herself into federal authorities in January of 2013, 8 years after her alleged codefendants were apprehended and prosecuted. She is believed to be entering into a non-cooperation plea agreement, though the exact terms of that agreement are not publicly available at this time. The federal government allege that this cell of ELF and ALF activists were responsible for over 20 actions, including arsons, between 1996 to 2001 and caused over $40 million in damages. Remember not to write to her about her case at all because she is pre-trial. October 25th has been set as the International Day of Action to Move Marie. People from across the world will be joining together to take action to get Marie moved out of FMC Carswell.